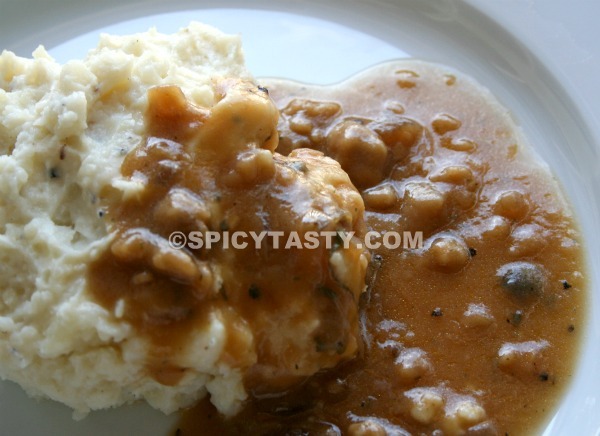 This vegetarian gravy for thanksgiving is very easy to make and it goes well with the mashed potatoes. Usually they add nutritional yeast for the vegetarian gravy recipe. But I did not add that. Still it tasted good. Heat oil in a pan and add the onion and garlic and fry them until translucent. Add the flour and soy sauce to form a smooth paste. Add some water, sage, salt, and pepper. Boil it till it becomes thick and serve with the mashed potatoes. Right in time for thanksgiving. looks creamy! 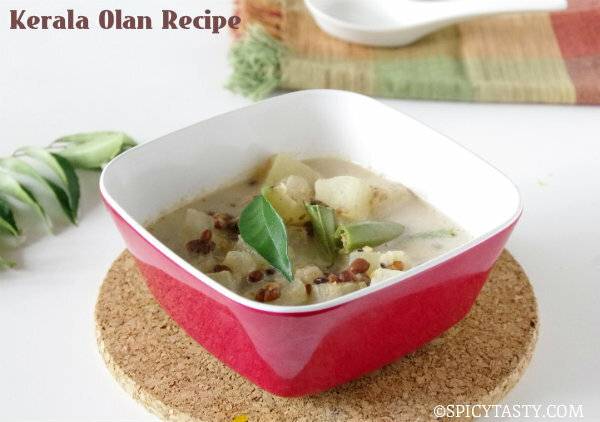 wow this is a very nice recipe to all the vegetarians…..happy thanks giving dear…. Veggie gravy looks awesome perfect. Wow wat an excellent gravy,looks fabulous. Wow! 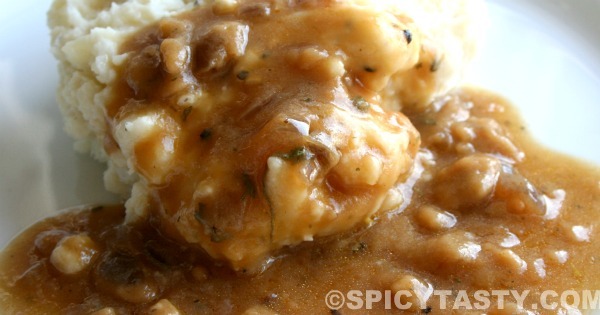 The gravy is lovely and groovy! Love it! I cant find dried sage here in singspore. Can u suggest an alternative or another name to gind. @Deepu : Sage has its own distinct flavor but you can try thyme. How much is “some water”? Sorry for the late reply. Around 1 or 1 1/2 cup of water is fine. 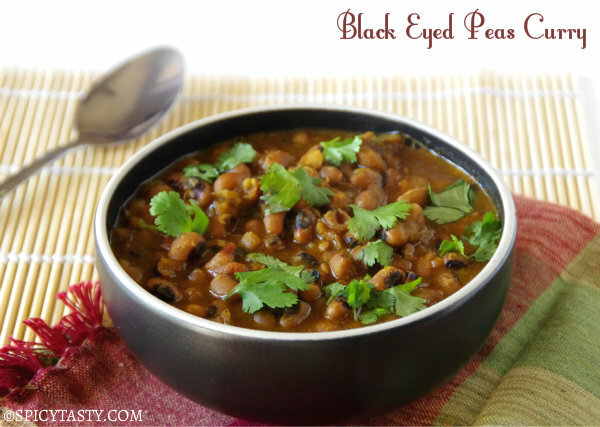 Thanks for the recipe Arthi! !